The Dollhouse: A Novel. Fiona Davis. Penguin Publishing Group. July 2017. 368 pp. ISBN #: 97811.1985014. The Barbizon Hotel for Women in the early 1050’s is a temporary residence for many single women who later became famous stars such as Sylvia Plath, Liza Minelli and more notable ladies. At the time when our story opens, Darby is a single woman who has left her nasty mother and stepfather to make a life for herself by studying in a secretarial school. She’s given a room on a floor with other women studying to be models and they’re catty young women who intimidate Darby. But little by little, after some harrowing experiences including a blind date that goes awry, new opportunities arise that change Darby’s entire world. The scene changes to the present day, when the character Rose has a boyfriend who decides he must dump Rose to go back to his ex-wife and his troubled daughter. Add to that the fact that Rose’s father has had to be put in a special home because of his advanced Alzheimer’s disease. She’s working in a news magazine, “Wordmerge,” as a secretary; it’s a company that hasn’t completely decided what it wants to be. 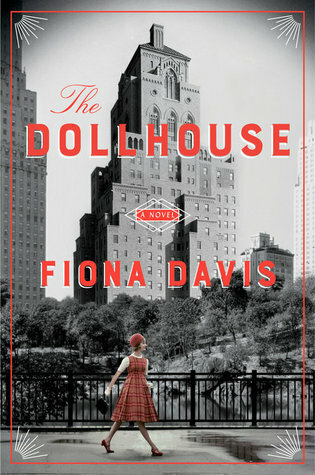 For Rose, that changes when she begins to learn more about the women who have lived in the Barbizon Hotel and its history, including why it’s known as “The Dollhouse.” It’s a mysterious tale in the 1950s that involved an attack that totally disfigured the face of one woman and resulted in the horrifying death of another. This intriguing novel describes the simple account of Darby studying in a secretarial school she hates and Esme a maid who sings nights in a famous jazz club in Manhattan, the Flatted Fifth. It’s where Charlie Parker, Stan Getz and other jazz masters developed their craft. It’s also where Darby sings with Esme and discovers she’s more than a quiet little mouse, a woman who can fashion dreams to pursue. But there’s so much more going on in this club and in a return to contemporary times, Rose and a photographer friend Jason pursue the 1950s mystery as it gradually enfolds. The end of this novel is shocking but also heart-warming. The entire story is told, the characters confess their parts and together face the future, freed of unnecessary guilt but determined to live their lives making up for the mistakes made in the passionate dreams of the times. As the novel fluctuates between the past and the present, a type of parallel resolution occurs that is most pleasing to the reader. The Dollhouse is a great read that is carefully crafted and recommended. Well done, Fiona Davis!